Staff members of the Law School are involved in vigorous academic work. Academic activities of the chairs (see here). The Law School of Moscow University holds annual academic forums. Since 1975, the Law School has been hosting the "Jurisprudence" workshop at the Lomonosov Readings, an academic and practical conference of professors and instructors of Moscow university, where the school’s leading scholars present the most significant results of their research. The Lomonosov Readings are held every year in April. (See activities of previous years: 2012, 2013, 2014, 2016). Every year since 2011, the Law School has been the major venue of the Moscow Law Week, an event timed to coincide with the Jurist Day (December 3). Within the framework of the Moscow Law Week, an international academic and practical conference is held, an event sponsored by the Law School of Moscow University in conjunction with the O.E. Kutafin Moscow State Law University, Association of Jurists of Russia, and co-sponsored by the Russian Academy of Legal Science, Association of Law Education, and other partners of the university. Alongside plenary sessions, the conference organizes more than 30 workshops and round-table discussions, all covering most topical issues of legal science. The conference invariably sparks the interest of the professional community and brings together over 1,000 Russian and international jurists. The guests attending the conference are leading Russian and international scholars, senior officials and judges of the Constitutional Court of the Russian Federation, the Supreme Court of the Russian Federation, courts of arbitration, officers of law, public officials and workers of self-governing bodies, etc. The conference is held in late November. Furthermore, every year, large-scale conferences in various branches of law are held. For instance, since 1996, the annual all-Russian academic and practical conference in Environmental Law and Land Law has been organized (see activities of previous years: 2012); in 2003, the annual international academic and practical conference in Tax Law was founded (see activities of previous years: 2014); the annual international congress in Criminal Law, an event that gathers together more than 500 Russian and international specialists, has been around since 2007 (see activities of previous years: 2010); since 2007, the annual international conference in professional translation “Language and Law,” has been convened (see activities of previous years: 2011); the Tunkin Readings, an international academic and practical conference on issues of International Law, has been a multi-year event (see activities of previous years: 2010, 2013, 2014, 2016), etc. The Law School has a postgraduate program in all aspects of Legal Science; it is used as a basis for preparing candidate’s theses in legal science. In addition, there is a doctorate program where trainees can prepare their dissertations for the Doctor of Law degree. At present, the Law School of Moscow University establishes new Dissertation Boards to award the Candidate of Law and the Doctor of Law degrees of Moscow University to scholars. The Law School of Moscow University actively involves young people in academic research. The Council of Young Scientists and Scholars and the Scientific Student Society are the two organizations that unite students, M.A.’s, graduate students, young instructors (up to 35 years of age) in order to advance legal science, to create favorable conditions for realizing creative potential of young scholars, to ensure continuity of the academic school, and to preserve traditions of the Law School of Moscow University, to coordinate international and national cooperation of creative youth with Russian and international academic and educational centers and institutions. Every chair runs its own student research groups; at their meetings, members discuss most important issues of the various branches of law, hold mock trials, debates, etc. Every year, the Law School organizes the "Jurisprudence" workshop within the framework of "Lomonosov", a university international youth academic forum. The workshop is one of the most widely attended, with about 1,000 guests representing Russian and international universities present on a regular basis. Traditionally, the conference has more than 30 workshops, of which three are run in foreign languages (English, French, German). The Lomonosov Forum is held every year in April. (see this event in previous years: 2011, 2012, 2013, 2015, 2016). The Law School is an active participant in the various events of the All-Russian Science Festival, an annual conference which since 2006 has taken place in October. (see this event in previous years ). At the festival, students and graduate students of the Law School host their annual academic conference called "The Evolution of Law", to analyze trends in the development of legal science. (see this event in previous years: 2010, 2012, 2013, 2014, 2015, 2016). In 2014, the Law School of Moscow University hosted "The Law for the Future", an all-Russian law convention sponsored by a coordination council of young lawyers of the Association of Jurists of Russia, an all-Russian NGO, and by the Law School of Moscow University1. The Law School of Moscow University took part in “Seliger-2014”, an all-Russian youth educational forum, and it was the first and only institution of higher professional education training legal talent, which presented an exclusive educational program at that gathering. Moreover, young scholars, graduate students and students run themselves and take part in third-party academic conferences, round-table discussions, seminars, summer schools, Olympics, competitions, student legal clinics, other training and academic events with practical focus, both at Moscow University and in other universities of Russia and abroad. For instance, since 2011, the “Lawyer’s Professional Ethics”, an academic and practical seminar organized together with the international law firms White & Case, DLA Piper, Public Interest Law Institute (PILnet), has been an annual event. (see this event in previous years: 2011, 2012, 2013, 2014, 2016). The school regularly hosts academic student competitions. Every year since 2006, an international competition of student academic papers in Roman Law has been held. Since 2010, the Law School has regularly hosted open student tournaments in parliamentary debate. The team of the Law School of Moscow University takes part in the annual all-Russian competition of young lawyers, “All-Russian Court Debate,” which was started in 2005. Students of Moscow University gained recognition as the competition’s best speakers, and in 2014 the team of the Law School of Moscow University was among the finalists, winning the "Best Memorial for Defendant" nomination. Students of the Law School have garnered success at the All-Russian Student Law Olympics. In 2016, at a circuit tournament, representatives of the Law School were placed first and second in the “Civil Law” nomination, and third in the "Constitutional Law" nomination. Students of the Law School are active participants of international academic competitions in foreign languages. The Philip C. Jessup International Law Moot Court Competition. The Philip C. Jessup Competition is the largest and most prestigious competition in International Law, in which students and graduate students of law schools from across the globe take part. This English-language competition was founded in 1959, and it is built on the model of the court proceedings at the International Court of Justice. In 2012, the visit of the team of the Law School of Moscow University to Washington, DC was marked with grandiose success. For the first time ever, the Russian team won the most famous English-language competition in law. In the finals, it defeated the team of Columbia University (New York, U.S.A.), one of the oldest universities, which has invariably been at the top of all global rankings. Over the past decade, the team of the Law School of Moscow University has participated multiple times in that competition and achieved brilliant results. The competition is one of the most impressive international contests. The Charles Rousseau moot court competition on public international law (Concours de procès simulé en droit international Charles-Rousseau). This competition named after Charles Rousseau is a French-language competition on Public International Law for university law students. This annual competition was founded in 1985; it is sponsored by the Francophone Network of International Law (Réseau Francophone de Droit International) and co-sponsored by the University Agency of the Francophonie (Agence Universitaire de la Francophonie). The competition is organized as a simulation of the International Court of Justice and is a French-language analogy of its U.S. counterpart, the Philip C. Jessup International Law Moot Court Competition. During its existence, the Charles Rousseau competition has attracted more than 85 universities from 33 countries. In 2012, the organizers called the result achieved by our students unprecedented for a newcomer team, for which the French language was not native, either. On the back of preliminary rounds, the team of the Law School of Moscow University was placed third in its group, and in the overall standing (global ranking) the team managed to go up as high as 14th place. Our team was awarded a special prize of the Francophone Network of International Law for outstanding performance in the competition. The judging panel noted strong knowledge of international law and high level of all representatives of Moscow University, and student Lilit Nagapetian, who was awarded the highest grades in a few rounds for “exceptional speaking skills”, was ranked 27th in the individual league table, outrunning a few dozens of representatives of the best teams from French-speaking countries. In the overall standing, the team of the Law School of Moscow University was titled best among teams from Central and Eastern Europe. In 2016, the team of the Law School of Moscow University was successful during international rounds, and was the only Russian team in that phase. In the final phase, students of M.V. Lomonosov Moscow State University beat France’s Université du Maine, showcasing commendable knowledge of International Law and extraordinary stamina. The annual Willem C. Vis (East) International Commercial Arbitration Moot. Every year, the team of the Law School of Moscow University takes part in the prestigious annual Willem C. Vis (East) International Commercial Arbitration Moot (Vienna, Austria). The competition is styled after a dispute settlement procedure in international commercial arbitration. It is based on the rules of existing international arbitration institutions, and is run in the English language. In 2013, the Law School’s team achieved the biggest success during the six years of its participation in that competition: for the first time, it passed into Round 64 (1/32 finals), in which it beat the team of the University of Mainz (Germany), and in 2015 our team, for the first time in history and first amongst Russian teams, took part in two contests under the auspices of that competition: in the 22nd annual competition in Vienna and in the 12th annual competition in Hong Kong (Vis East). The Frankfurt Investment Arbitration Moot Court. Since 2013, students of the Law School of Moscow University have been taking part in the annual Frankfurt Investment Arbitration Moot Court, the oldest and most prestigious student competition in the area of investment protection law. The competition founded in 2007 is styled as simulation of the proceedings in which an international court of arbitration looks into a dispute between a country and an investor. Teams prepare legal argument for the parties and make an oral presentation. The arbitral tribunal is composed of lawyers with hands-on experience in international investment disputes. The cases provided to students are based on real-life events and documents. In 2014, the team of the Law School of Moscow University surpassed teams of the world’s leading universities, including teams from the U.K., Switzerland, Sweden and the U.S., and became the first Russian team to make it to the playoff round of the competition. In 2015, the team of the Law School of Moscow University was placed fifth and was pronounced Europe’s best. For the first time ever, representatives of Moscow University made it to the quarterfinals of the tournament, outperforming teams of many majors law schools from around the globe. In 2016, on the back of the qualifying rounds, the Moscow University team was ranked 7th among 40 participants and made it to the playoff round of the finals, finishing ahead of teams from leading universities from the U.S., the U.K., France and some other countries. The Foreign Direct Investment International Arbitration Moot. The competition simulates the proceedings of international investment arbitration. In the course of the competition, teams from dozens of the world’s best universities prepare written argument of the claimant and the defendant (Memorials) in a specially prepared case (the Problem), take part in simulation proceedings before an arbitral tribunal composed of three arbitrators who are practicing lawyers in international arbitration. The competition requires from the contestants thorough knowledge of Public International Law, ability to state convincingly their argument on the case in the oral and written form. The team of the Law School of Moscow University has been taking part in the Foreign Direct Investment International Arbitration Moot (King’s College, London) for a few years now. In 2015, the team of the Law School of Moscow University was ahead of the teams from Harvard, Mainz, and other renowned law schools, in the following nominations: “2nd Best Damages Aspect in Memorials,” 3rd Best Memorial for Claimant.” In the overall standing, the Law School’s team was placed 8th among more than 50 teams and was included in the top 16 teams on the back of the oral rounds. The International Air Law Moot Court Competition. The team of the Law School takes part in the annual English-language International Air Law Moot Court Competition organized by the International Institute of Air and Space Law (Leiden University), the Sarin Memorial Legal Aid Foundation and Etihad Airways. 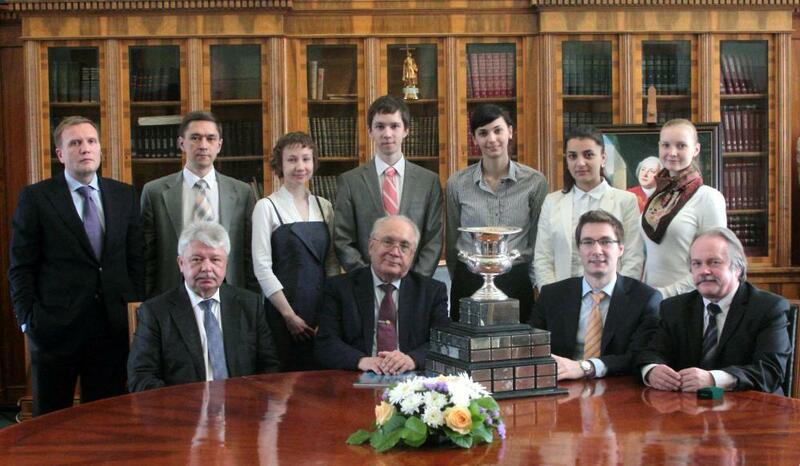 In 2014, the team of the Law School of Moscow University finished 6th. The International Criminal Court Moot Court Competition (The Hague, the Netherlands). The team of the Law School of M.V. Lomonosov Moscow State University has been a permanent participant in that competition since its inception and has always showcased excellence of its expertise, invariably taking places among top ten. 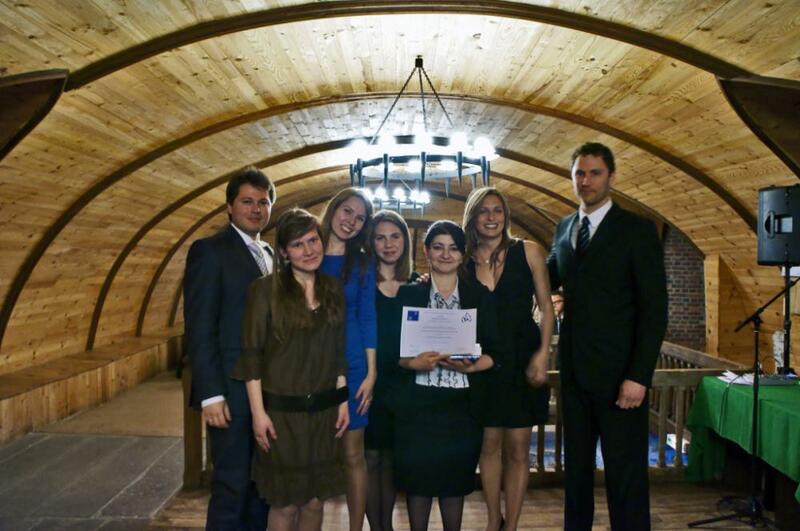 In 2014, the team of the Law School of Moscow University come out the winner, for the first time, in the finals of the competition, a 2014 Russian-language simulation of the International Criminal Court, and was awarded a prize for the “Best Memorial for Third Country.” In 2015, our team was placed second, and in 2016, it won over its competitors during the final round of the competition and was ranked first in the 2016 Russian-language simulation of the International Criminal Court.